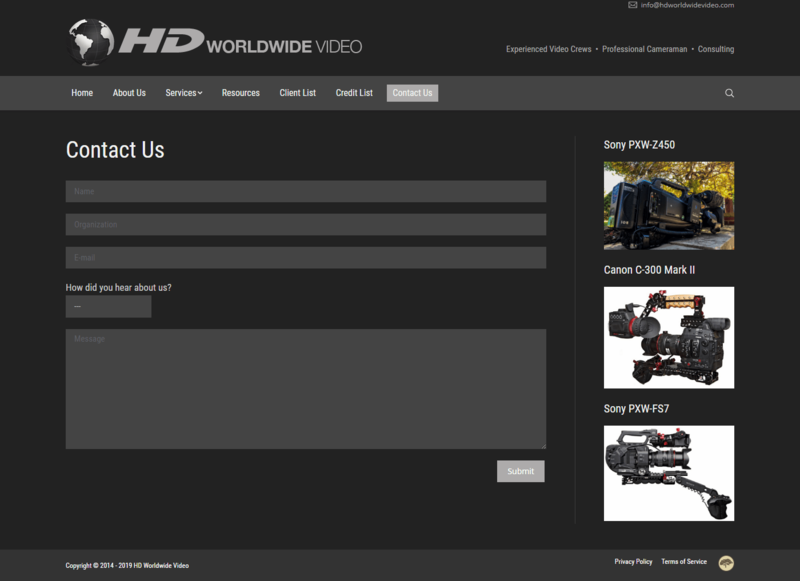 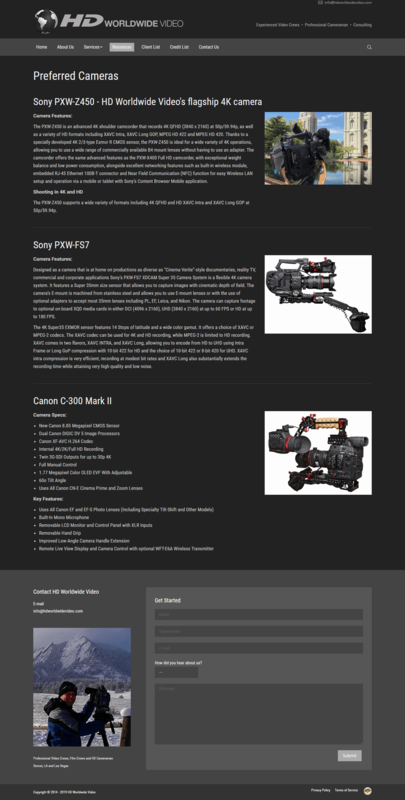 Our main goal is to provide you with quality HD video and professional production crews. 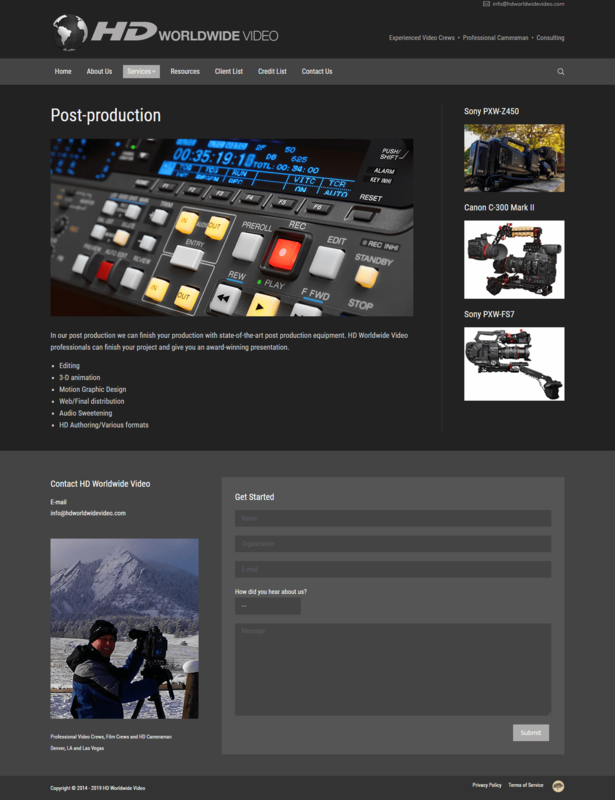 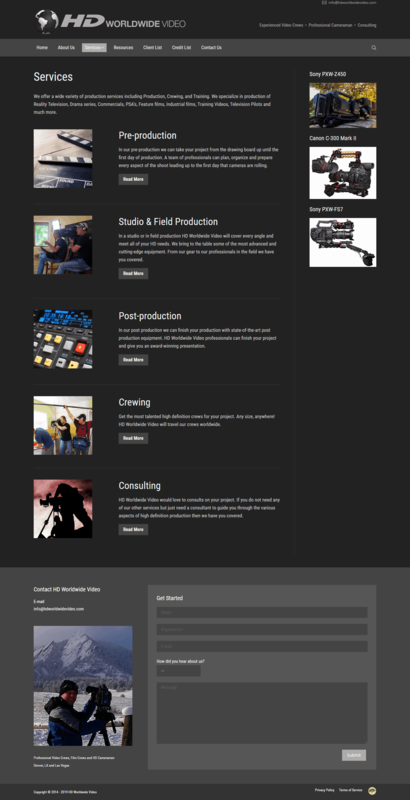 We can provide a network of highly skilled producers, directors, writers, researchers, videographers, and editors. 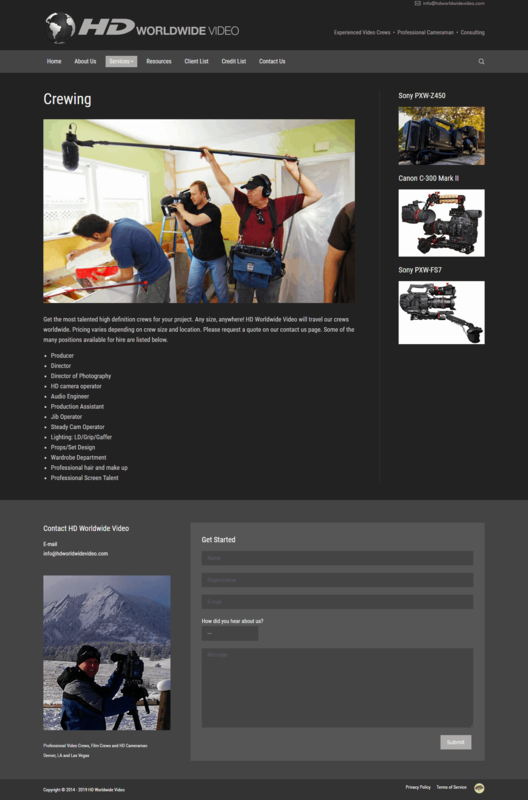 Whether you need a complete project from start to finish or just need to crew a shoot, we specialize in getting you a crew that is the right size for the job. 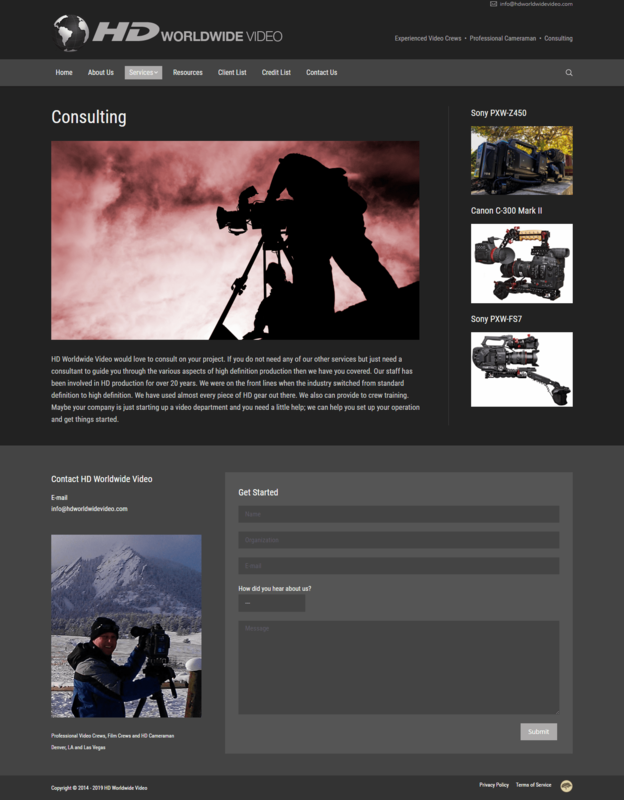 Problem: The client needed multiple types of sliders on the website for video and images. 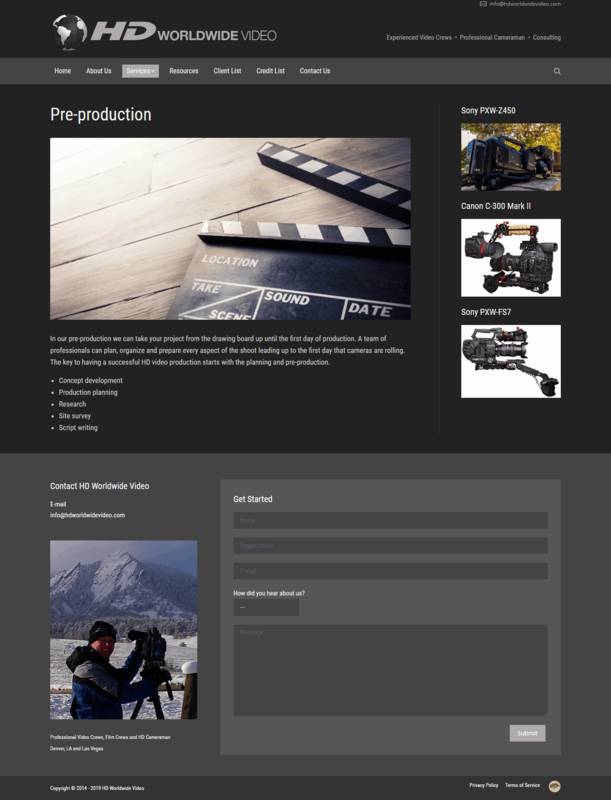 Solution: We utilized Revolution slider for the video on the homepage, a porthole slider for the portfolio, and Royal Slider for the photo gallery.